World-renowned jazz trumpeter Saskia Laroo from the Netherlands, and international pianist/vocalist Warren Byrd from Hartford, CT create a smorgasbord of music. Whether performing dance classics, the Great American Songbook, hot Afro-Latin grooves or their own catchy poignant originals, this unique twosome offers an evening of musical variety. 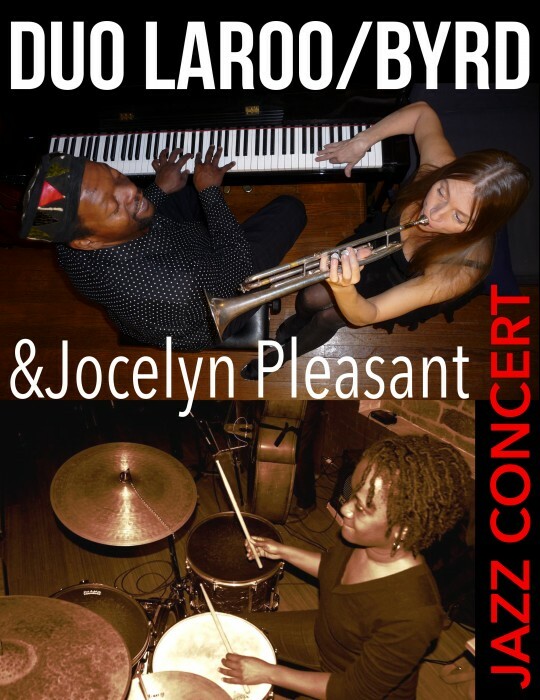 Jocelyn Pleasant–percussionist extraordinaire–joins the duo and adds her distinct style to this special evening of music. Jocelyn Pleasant is a percussionist and educator from Bloomfield, CT. As a member of the North End Artist Cooperative, she runs a free African percussion class, focusing on djembe and dundun rhythms of West Africa. She plays traditional West African drums with Hartford groups Friendz and Mudcloth Mentorship Society. She is also currently on staff at the Greater Hartford Academy of the Arts, the Artists Collective, and Green Street Arts Center.